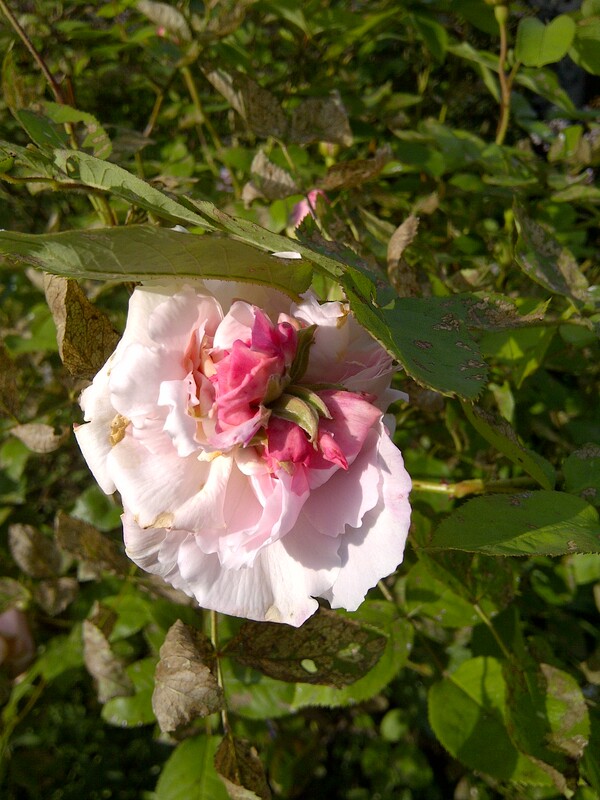 Wordless Wednesday–What’s Wrong With This Rose? This was the first bloom on my ‘Redoute’ David Austin English rose and I have to say it kind of freaked me out a little because in the 14 years I’ve had them, none of them have ever bloomed quite like this. A little research reassured me, however. This is perfectly normal. This is a condition called rose proliferation. It generally happens during a cool period, and generally to the first rose or roses on the bush to bloom. Certain roses are more susceptible to it than others. No one is quite sure why. But once normal temperatures return, the condition disappears–and sure enough, that is exactly what happened. Just though you’d like to know.